In Starwhal, players control a slippery sea/space mammal equipped with a deadly tusk. Each match drops you into a cramped arena packed with fellow narwhals - puncture the pulsing hearts on their underbellies to drain their health and claim victory. Think of it as TowerFall with wriggling sealife instead of archers and you've got a good idea of what to expect here. 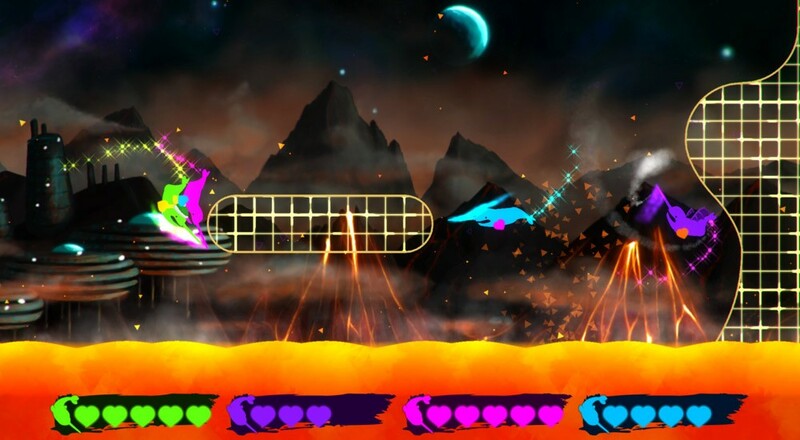 Though Starwhal focuses on competitive multiplayer arena combat, players also have the option of taking on AI opponents with help from local partners, giving the game a wildly chaotic couch co-op component. Starwhal will launch for the PlayStation 4 and PS3 via the PlayStation Network on February 24. PC and Mac versions are also available via Steam. Page created in 0.9518 seconds.